Toyo 4x5 Cut Sheet Film Holder in excellent condition. These Toyos are very solidly made, with premium materials and workmanship. 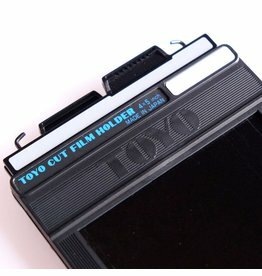 Toyo 4x5 Cut Sheet Film Holder.